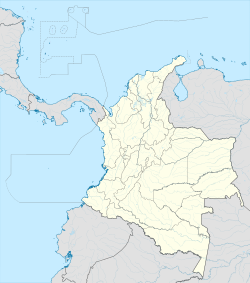 Cucunubá is a municipality an toun o Colombie in the depairtment o Cundinamarca. It borders wi the municipalities o Ubaté, Lenguazaque, Suesca, Chocontá, Tausa an Sutatausa. A lairge zone o the municipality is ubicatit at the Ubaté Valley, while the ither pairt is a muntainous sector o the Eastren Muntain Range. This page wis last eeditit on 11 Mairch 2018, at 08:16.